With the financial crisis back front and center in Europe, Israel picked a good day to remind markets that geopolitics remains as much of a gaping risk factor as ever, and after Palestinian militants on Tuesday launched what Reuters described as their heaviest mortar bomb barrage against Israel since the 2014 Gaza war, Israeli aircraft retaliated striking more than 30 Gaza camps according to AFP. More than 25 projectiles were launched from the Gaza Strip and Israel's planes attacked three of the Iranian-backed armed group’s facilities. There were no immediate reports of casualties from either side, with Israel claiming that the Iron Dome anti-missile system intercepted the majority of the missiles, but one exploded in the yard of a kindergarten, damaging its walls, about an hour before it was scheduled to open for the day. “The IDF is currently operating in the Gaza Strip. The explosions heard are related to this activity,” the Israeli forces said in a statement released on Twitter. “A barrage” of at least 28 mortar shells was launched towards several locations in Israel, according to the IDF. While there was no immediate claim of responsibility from any of the armed groups in Gaza which is controlled by the Islamist militant Hamas movement, the attack came after Islamic Jihad vowed to take revenge after three of its members were killed by Israeli tank shelling. Reuters cited local residents, saying that Israeli aircraft struck a position by the Islamic Jihad militant group in the Gaza Strip as a response to mortar shelling. Israeli military, however, declined to comment on the report. Israeli Prime Minister Benjamin Netanyahu said the military would launch a forceful retaliation for the mortar attack, pointing the finger at Hamas and Islamic Jihad, which praised the barrage as a response to Israeli killings of Palestinians. The air strikes occurred shortly after he spoke at a public event. 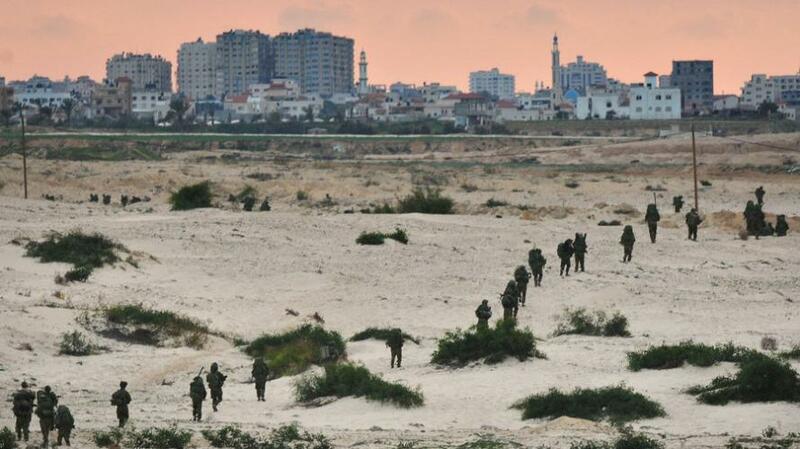 Gaza residents identified the targets as Islamic Jihad training camps. The Israeli army said it was “carrying out activities in the Gaza Strip”, without elaborating. Nickolay Mladenov, the U.N.’s special coordinator for the Middle East peace process, said he was deeply concerned by “the indiscriminate firing of rockets by Palestinian militants from Gaza towards communities in southern Israel”. Calling for restraint by all parties, he said at least one of the mortar bombs “hit in the immediate vicinity of a kindergarten and could have killed or injured children”. Violence has soared along the Gaza frontier in recent weeks during which 116 Palestinians were killed by Israeli fire at mass demonstrations for a right of return to ancestral lands now in Israel. Amid international condemnation for its use of lethal force at the mass demonstrations, Israel said many of the dead were militants and that the army was repelling attacks on the border fence. Palestinians and their supporters say most of the protesters were unarmed civilians and Israel was using excessive force against them.